For now, we are waiting for the Samsung’s next flagship device the Galaxy S10, but it looks like the South Korean giant is working on its two new Galaxy Device under its new M series. 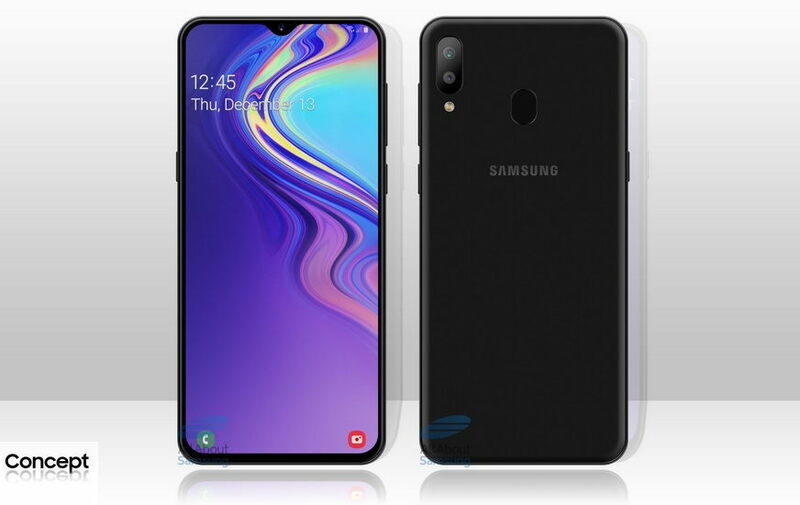 The two new Galaxy M series devices called the Galaxy M20 and Galaxy M10 are expected to be the first Samsung smartphones to come with a waterdrop Notch. However, two days back the Galaxy M10 with the model number (SM-M105F/DS) received the Wi-Fi Certification and now, the Samsung Galaxy M20 with Model number SM-M205F has received the Wi-Fi Certification from the Wi-Fi Alliance. There isn’t much known about the upcoming Galaxy M20 as yet, but what we know so far is that the device would come with waterdrop Notch. Other than this, the Wi-Fi Certification also reveals that the upcoming Galaxy M20 will come running Android Oreo 8.1. 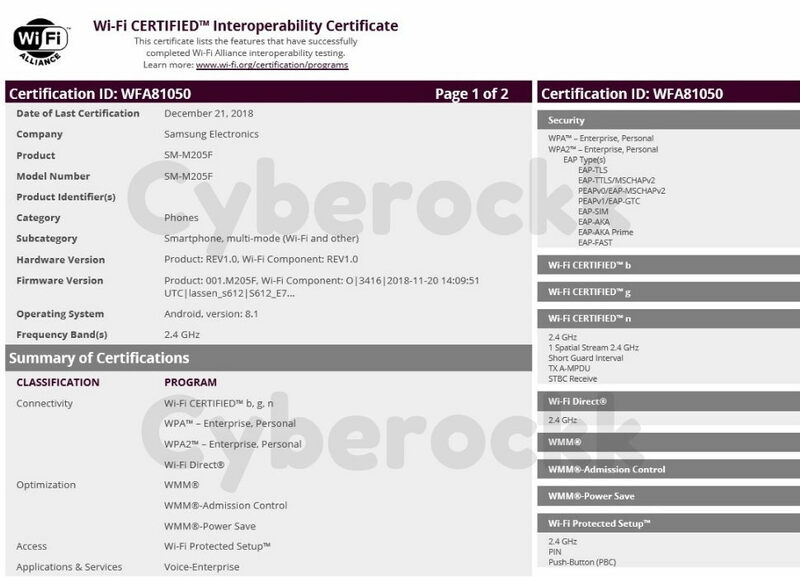 The certification also reveals that the smartphone will support the Wi-Fi 802.11 b/g/n standards with frequency band 2.4GHz. According to the previous leaks and rumors, both the Galaxy M10 and M20 are expected to be powered by an octa-core 14nm Exynos 7885 SoC under the hood. The upcoming Galaxy M20 could also boast a bigger and powerfull 5,000 mAh battery. As for the launch, we expect the Galaxy M20 to be launched in various markets across Europe as well as India.